Once you have an iPhone, aside from basic steps like setting up Apple account, you probably always want to personalize your phone, and ringtone is one of the easiest ways to do it. Changing ringtone on iPhone is not difficult, and there are many default ringtone options inside iPhone. However, we always prefer something unique or more favorable. Do you know how to make your own ringtone for iPhone? 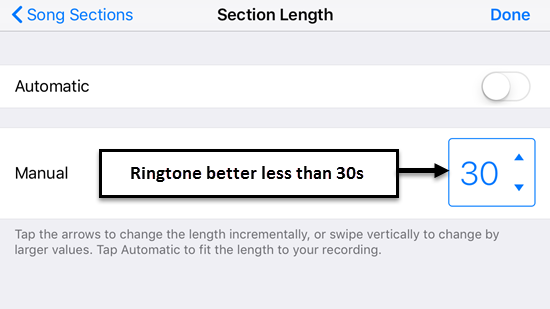 To change ringtone on iPhone is as easy as you think. You just go to Settings > Sound, and then you can change your ringtone on iPhone. 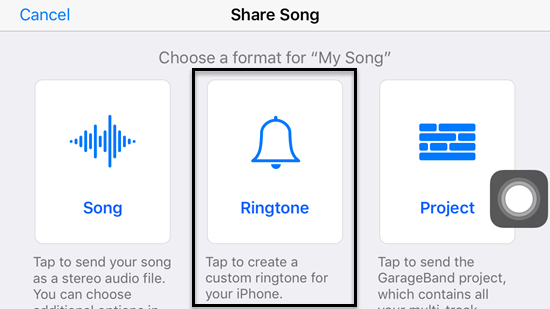 But if you are tired of the default iPhone ringtones, you can create your own special ringtone by following the guide below. One popular and simple way to make iPhone ringtone is using iTunes. Though the newest version of iTunes has removed the Tone section, you still can use it to make and transfer ringtones to iPhone. Open iTunes, and change to Music section. Go Files > Add Files to Library to import the selected song into iTunes, and then right click it to “Get Info”. 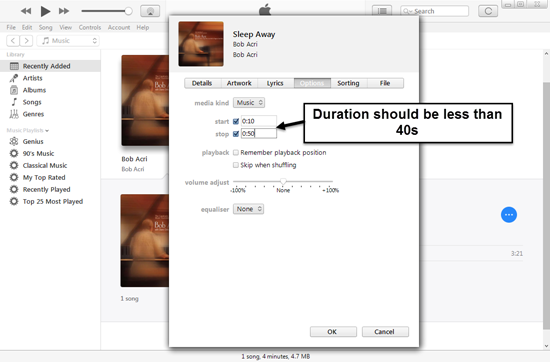 Then go “Options” to set the start and stop of the song, make sure it won’t be longer than 40s. Afterwards choose the edited song, and go to Files > Convert > Create AAC Version. Go to the folder location of your iTunes Library, or you can right click the new AAC file to “Show in Windows Explorer”. Then rename the file type from AAC to M4R. 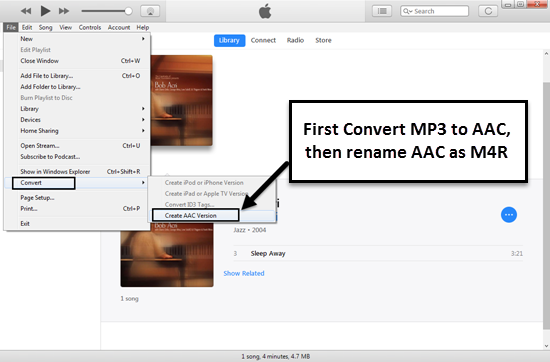 Drag and drop the m4r file to iTunes Library, and then you can sync it to your iPhone and set it as ringtone. iTunes 12.7 and later has removed the tone section from the interface, but you still can transfer ringtone from iTunes to iPhone. The steps of making ringtone with iTunes 12.7 is the same as above, changing the duration, creating AAC file, and renaming it as m4r file. Then you just need to plug in iPhone, go to Summary > Tones under “On My Device”. 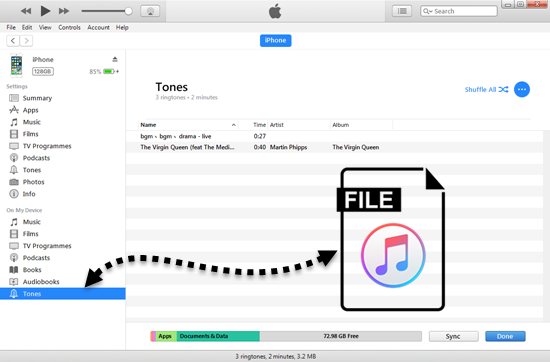 Drag and drop or just copy-paste the ringtone m4r file to the “Tones” section. Then you can set your ringtone on iPhone. Done. Actually aside from iTunes, you can directly use GarageBand on iPhone to convert a song or an audio file into ringtone. GarageBand is a powerful music creation studio on iPhone. You can use it to create your own iPhone ringtone as you follow the steps below. Open GrageBand on iPhone and click “Audio”. Click the gear icon on the top right and choose “Song Settings”. Tap “Metronome and Count-in” and choose “No Sound”. Click the Import icon to get the song or audio file you want, long press it and you can drag-drop it to GarageBand. Then edit it and clip your favourite part. After finishing edit, tab “My Song” to save it, and then long press the item to “Share” as ringtone. Click “Done” after rename it, then you can set it as your iPhone ringtone in the Settings. Note: Protected songs and songs not locally stored on iPhone can not be imported into GarageBand.